Proper nutrition is important for people of all ages, and that is the reason that there is a great emphasis on eating healthily and maintaining an optimum body weight. Through the efforts of governmental agencies, food manufacturers are now required to include nutrition information on all consumable products they sell, so that the public knows exactly what they are putting into their bodies. 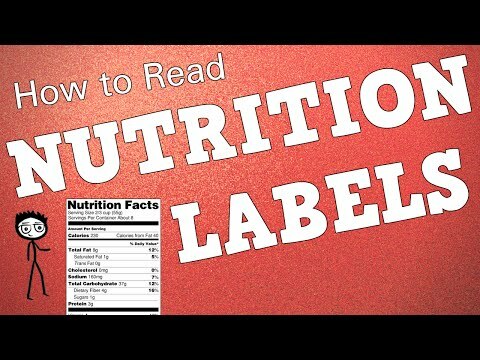 In addition to calories, fat, carbohydrates, fiber, and protein content, manufacturers are required to list the vitamin and mineral content of their products This is normally shown by the recommended daily allowances met in each serving in the nutrition information listed on the package. Consumers are then able to make a more informed choices in respect of nutrition content. To make nutrition information easier to understand, the nutrition food guide pyramid was developed, in 1992, by the United States Department of Agriculture. The food pyramid shows how much of what types of foods should be eaten in the diet. At the top of the food pyramid there are fats and oils. Foods in this category include butter, cooking oils, salad dressings, etc. and should be used sparingly. The next level moving down the pyramid contains two groups which consist of meats, nuts, eggs, and beans on one side. Dairy products, such as milk, cheese, and yogurt are in the other group. Items from both groups should be limited to two to three servings per day. Underneath, the third level contains fruits and vegetables, which is where the saying of five a day comes in. The bottom is the largest level of the food pyramid and contains the largest number of servings, at six to eleven per day. This group consists of pasta, cereals, breads and grains. The Food Guide Pyramid was replaced in 2005 by the updated MyPyramid. Nutrition information also contains tips on how to get all the recommended daily allowances from your diet to ward off vitamin deficiencies, which can lead to a poor immune system function and contribute to other health problems. Taking a daily multi vitamin supplement is recommended to people who may not be getting an adequate amount of vitamins through their diet. Nutrition information is listed on every bottle of multi vitamins so that you can see exactly how much of each vitamin and mineral are in that supplement. This is important to ensure that you are getting enough of each and at the same time, not exceeding the daily intake limits. Ideally, everybody should read the nutrition information on everything that they put into their bodies, be aware of their health and maintain a healthy body weight.